How fast can you render a helmet in KeyShot? FAST. 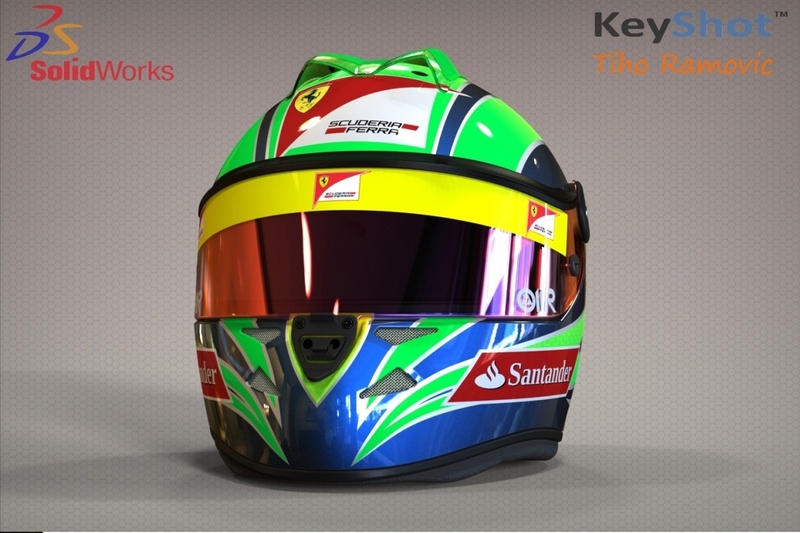 How fast does KeyShot look on a helmet? How about this? 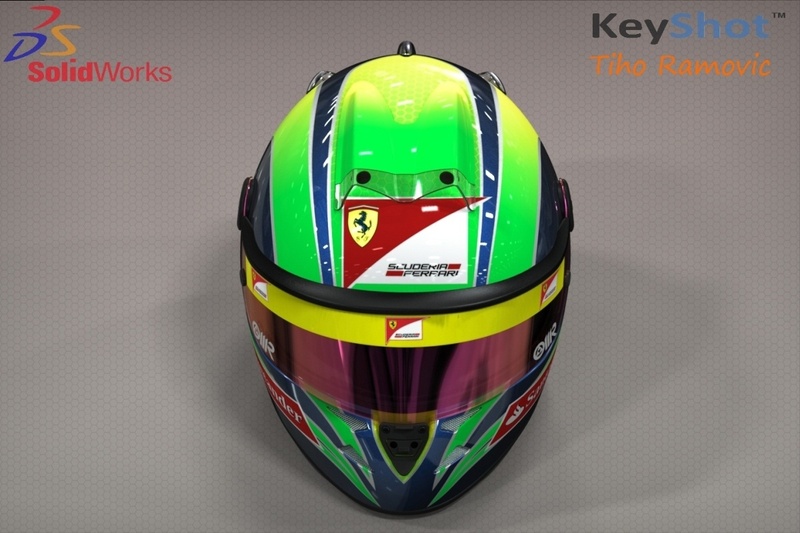 This colorful rendition of a Schuberth SF.1 Racing Helmet by KeyShot extraordinaire Tiho Ramovic not only looks like a helmet sitting on your display shelf, it's also a beautiful example of the ultra-realistic look you can achieve with KeyShot. 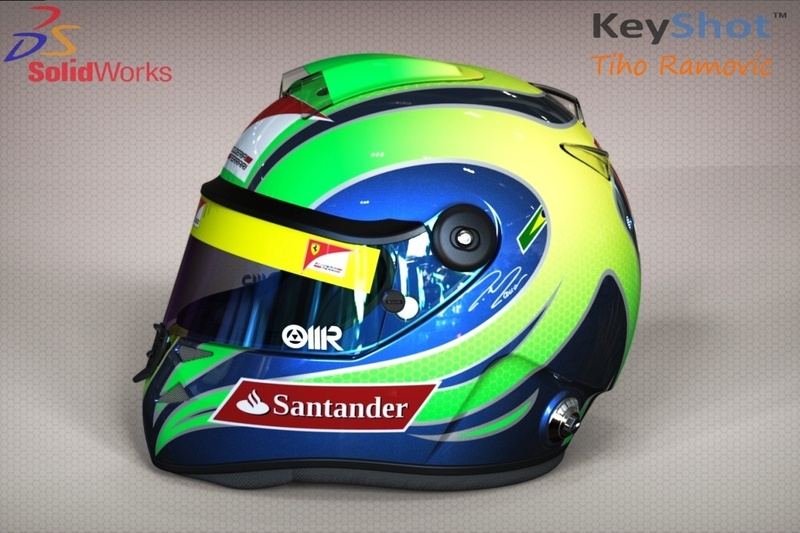 Tiho took on the challenge of modeling the helmet in SolidWorks, then rendering it in KeyShot. As you'll see the results are quite amazing. Why do you like to use KeyShot for rendering? Answer is simple: speed and realism!!! Before I discovered KeyShot, making renders with the applications I used then was a slow and painstaking task. I had to spend more time setting up the scene than making a model in 3D. Now with KeyShot, final render is few mouse clicks away because you can see in realtime how is your render is going to look, and rendering itself is quite fast. What are your tips to create ultra-realistic renderings in KeyShot? Well, my advice to someone would be to spend some little extra time on details, a few more minutes spent modeling some tiny detail on your model or on setting the scene in KeyShot, will make huge difference. Second important tip would be: Visit KeyShot´s forum!  I´ve learned a lot useful things from there, and members are always friendly and happy to give constructive advice. If you'd like to see another sweet shot of the back of the helmet, hit the link!